Being a great trial lawyer is not an easy task because great trial lawyers are not born but made. Advocacy is an art and like every other art, the skill needs to be groomed. No great artist woke up from a dream bursting with musical expertise like abami eda, rather it took hard-work, perseverance, consistency and commitment to horn their talents and skills, the same rule applies to great trial lawyers. When I was a white wig, I was always interested in having a great advocacy practice, so I searched for books and essays on tips on how to become a great advocate and in my search, I came across a book by F. Lee Bailey titled “To Be A Trial Lawyer” . I found the book quite informative and over time, I return to its pages like a Tax Collector looking at his tax notes over and over again trying to discover any unaccounted tax clearance. I hope to share some of the great tips I learned from F. Bailey with you in this blog and I hope it inspires you to strive to attain excellence in your legal career. I will also be using excerpts from F. Baileys’ book to illustrate the points. “English in every form should be your first concern. The use of language is a trial lawyer’s daily fare and if he is good at it, a daily joy as well. Only those who have refined and polished their ability to handle words in any and every form can know the delight that such a faculty offers. Among the many talents that can boost one’s self confidence, none surpasses the ability to spellbind an audience. Only entertainers, Political figures, lecturers and trial lawyers experience the surge of adrenaline that comes from speaking well”. I remember watching a certain Senior Advocate of Nigeria (SAN) as he marshalled his arguments before the court, not only was I impressed by his command of the English language but the clarity of his speech and ability to communicate the case of his client to the court without mincing words or using unnecessary expletives provoked in me and other counsel in court that day a high level of admiration. 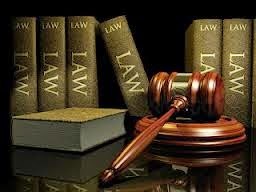 Judges have a very short attention life-span usually because they have to listen and write almost all what the litigants and lawyers say, if you say too many stories that touch the bone marrow waste their time by puffing too much smoke without saying anything useful to your clients case, they tend to zone out. It’s crucial you express yourself briefly while at the same time marshalling out your points. 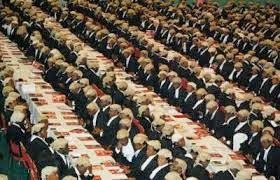 It’s no gain saying that a judge will hardly pay attention to a lawyer that cannot speak well. “Every trial lawyer must have rules of evidence carefully filed in his memory because during a trial there is rarely time to look them up. If you try lawsuits for a living, you will literally lie in the world of so – called proof. It is perhaps best to understand right here that most cases are decided on something less than strict proof. If something is so clear that it is really “proven”, it probably won’t even be in contention during trial”. Recently, in the National Industrial Court, I witnessed two opposing counsel trash out the rules of evidence in open court, the Plaintiff’s counsel sought to tender a document through its witness and the Defendant’s counsel objected on the grounds that the document was inadmissible, for about 6 minutes, both lawyers argued back and forth before the judge made a Ruling in favour of the Defendant. If the Defendant’s Counsel did not know his rules of evidence, it is safe to assume that the Plaintiff will have tendered an inadmissible document which would have been adverse to the case of the Defence. “When you begin to go to court for a living, the most common shortcoming you will see in your colleagues and opponents will be just such lack of preparation. Pre-trial preparation has often been compared to a part of the ice berg that sank the Titanic, namely the part that was underwater (about 87% of the whole). You may not be able to see it from a distance, but you know damned well it’s there. The trial itself is like the portion that sticks up out of the water for all to see. Preparation is exhausting, painstaking, and occasionally heartbreaking work, but it is an absolute duty that a trial lawyer owes to his client”. I once appeared before a High Court basking in confidence, I assumed I was ready for the day’s proceedings and was looking forward to trashing outwit opposing counsel with my arguments. Imagine my surprise when the opposing counsel argued his points from a rule of procedure I had not expected nor researched. The judge made a decision in his favour and I lost. That day hurt, LOL, I experienced what over – confidence and lack of adequate preparation could do to a lawyer first hand, maybe the sinister smile from a law school class mate who was on the opposing side as we walked out of court also made it worse, the smile said I beat you and stuck its tongue out. I have always ensured I prepare adequately for proceedings in court since that day. Hard-work does not kill, as a lawyer you must be ready for long hours of research, critical thinking and you must never give up. You must always believe there is always a way and you must get busy trying to find that way in other to win your case in court, legally of course not through bribery or other unwholesome practices. Finally, you must be responsible for your career growth as a lawyer, seniors do not expect to spoon feed on the job and they expect a certain level of ability from you. Personally, I take responsibility for my career by ensuring I develop myself daily in the following aspects: Advocacy; Use of English; Legal Drafting; Law practice management and Networking. You may want to create your own list and get on with developing your skills in those regard. Becoming a great trial lawyer is not a days’ job, it takes a very long time to horn your skills to perfection, more reason why you should start now. If you know any other great tip for being a good trial lawyer, don’t hesitate to write them in the comment box, a great lawyer must be ready to learn daily and i will like to learn from you too.